When I found out I was paired with her, I had such fun perusing her TPT store for a goodie to try. 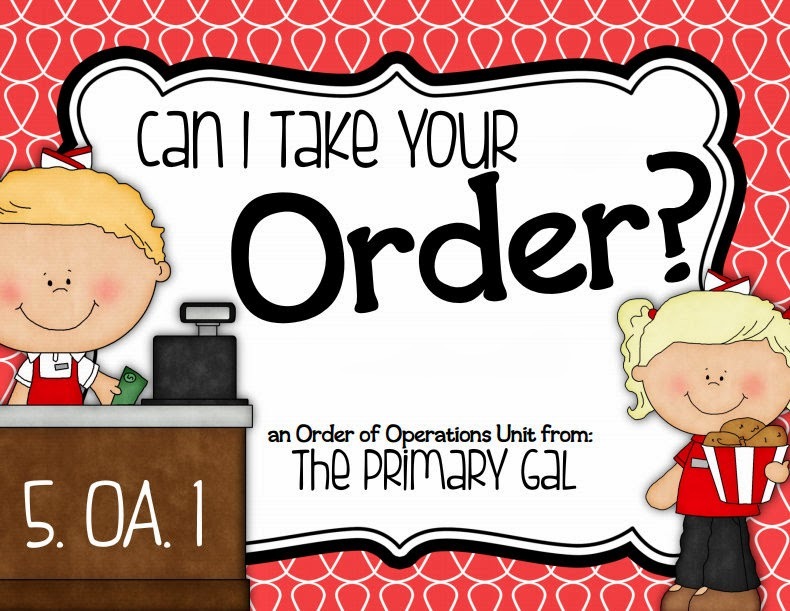 As I blogged about HERE, we have been working on Order of Operations in math, so when I saw Amanda's "Can I Take Your Order?" packet, I knew it was the one I wanted to try! This action-packed, common-core-aligned, 40-page packet is chocked full of fun and differentiated activities! 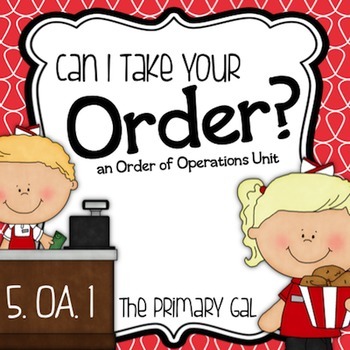 Included are 4 hassle-free, print-and-go centers that will enrich any study of Order of Operations. Students are given nine numbers and must make an equation that equals the given number. Students are given nine sticks, which when put in order, complete the puzzle correctly. Students begin with the "Start" stick, solve the equation, and find the correct answer on another stick. They repeat this process until they reach the end. Students can use QR Codes as a self checking method to play scoot or complete independently. Students are provided with a Roll and Equation mat as well as four dice. They use the die to find numbers to plug into the equations and solve. As a fun perk, Amanda is giving away this center as a FREEBIE! I want to extend a huge thank-you to Amanda for swapping products with me! You can check out Amanda's review of my Story Elements (and snag your FREEBIE!) by clicking HERE. Check out the other awesome products that we traded and graded!